Last Thursday I went shopping in Sandwich, Il with two of my friends, Rhonda and Cat. 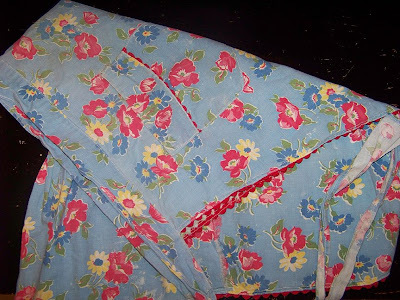 The first shop we hit, I scored a vintage apron with a Cath Kidson vibe…It’s fantastic! I just had to share with you. It needs a bit of repair, but generally speaking it’s fabulous. Lucky me! Previous postBack from France-ER-the North Woods!